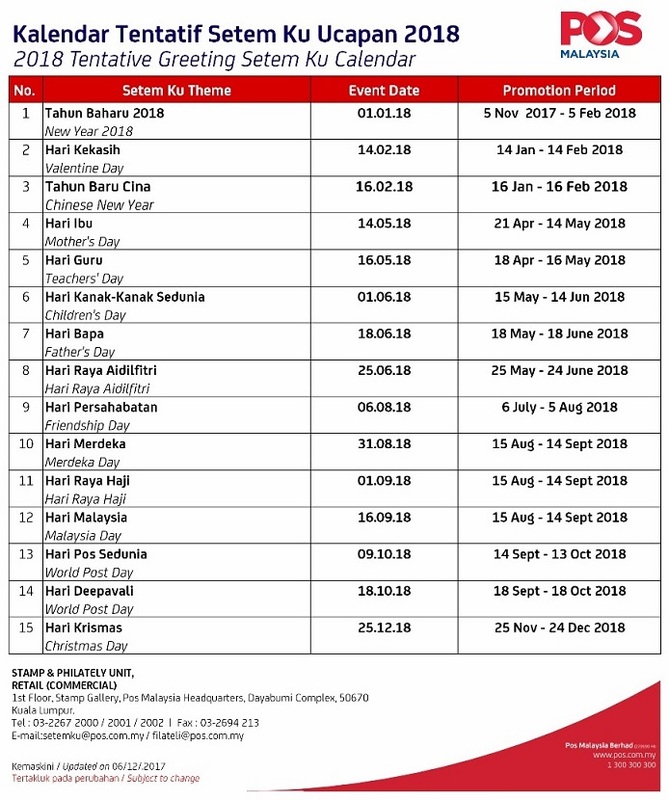 Here is the Greetings Setemku Stamp Issue Schedule for 2018. As usual it is tentative. The first Promotion Date is the first date of sale. The first one has already been issued on 05 December 2017 (the New Year 2018 Promotion Period should be 05 December 2017 – 05 February 2018).